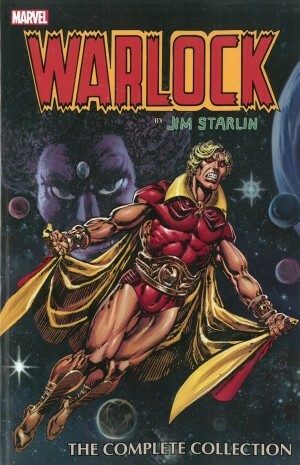 Jim Starlin’s Warlock stories remain a highlight of Marvel’s 1970s output, and his blocky nemesis Thanos a memorable creation. 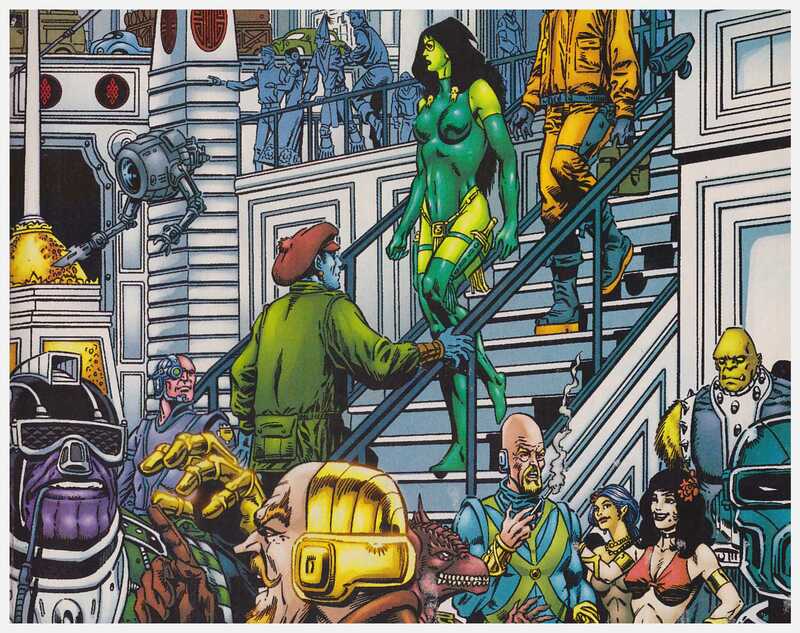 As time progressed Starlin moved on and other creators worked on what he’d immortalised. The results were less than stellar for the most part, and when Starlin returned to the cast he lacked his previous inspiration, as did those drawing the material. 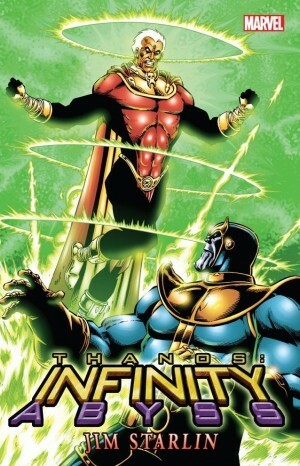 The previous Infinity-based volumes had moments, but they were few and far between. 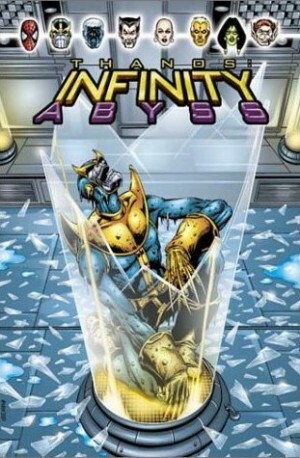 Infinity Abyss, however, signalled a return to form. The first chapter displays what’s been missed. It’s immediately pleasing to see Starlin pencilling again, and if Al Milgrom’s inking doesn’t have the decorative qualities that Steve Leialoha provided, it’s faithful and attentive to detail. 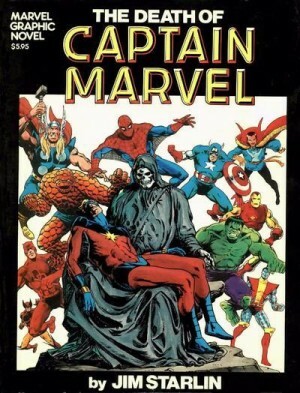 Starlin introduces each of his essential cast members with a brief sketch that defines them accompanied by some narrative from Warlock, addressing events that have come to pass. He’s his familiar morbid self, but it’s Thanos who appears to be having problems. 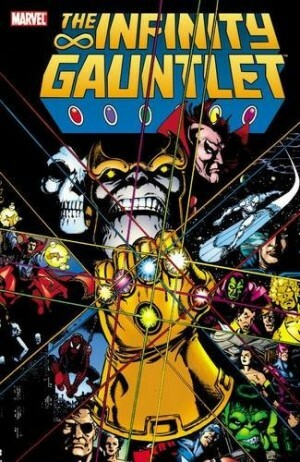 As the story progresses, it becomes apparent that in the case of Thanos at least, Starlin has conceived a clever method of writing off his use in uncharacteristic manner by other creators, and then using that as the basis for his own story. 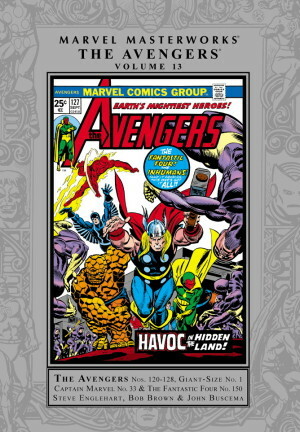 The problem encountered by many cast members is what’s referred to as blocks of nothingness, both a maguffin and a convenient method of removing the powerful from the plot, and there’s a reason Thanos is featured in the title rather than any of the heroic figures. Surprisingly humorous in places, both visually and verbally, Infinity Abyss is a sprightly cosmic romp. Anyone who’s enjoyed Starlin’s better work in the past ought to enjoy this.